The Nationals got a 7.0 inning 1-run gem out of Patrick Corbin, and Anthony Rendon put the Nats up 2-1 on a home run which looked like the game winner until manager Dave Martinez summoned reliever Tony Sipp to pitch the 8th inning and he was not up to the task. By the time the top of the 8th inning ended, the score was 3-2 in favor of the Pirates, but that is also where we saw a big mistake when Adam Eaton airmailed a throw allowing two baserunners to get into scoring position. It did not take long for them to score. In the bottom of the 8th inning, Anthony Rendon hit his second home run of the game to tie it at 3-to-3. Not a good decision my Eaton. You have to keep the trail runner on first. Hit the cutoff man and keep the double play in order and go ahead run on first! In the the bottom of the 9th inning, the Nationals got their break with a pinch-hit double by Howie Kendrick but the Nats could not push him across the plate. In the top of the 10th inning, Martinez allowed Matt Grace to start the inning and he gave up two hits. Martinez then brought in Justin Miller who warmed up an hour earlier in the 7th inning and was not used and Miller gave up a 3-run home run which put the game at its final score of 6-to-3. The Nationals had other chances to score like the 7th inning when Matt Adams entered as a pinch-hitter and led-off the inning with a double and was bunted to 3rd base, but Adam Eaton grounded out with one out to strand Adams. This was one of those games that Eaton just could not get the big hit or make the smart play on defense. It was Eaton in the 9th inning with Kendrick on 3rd base and two outs who had a chance at a walk-off but he struck out. The first run of the game for the Nats was knocked in by Patrick Corbin who was 2-for-2 as a batter and struck-out 11 Pirates in this game. He made one mistake pitch and that was it. 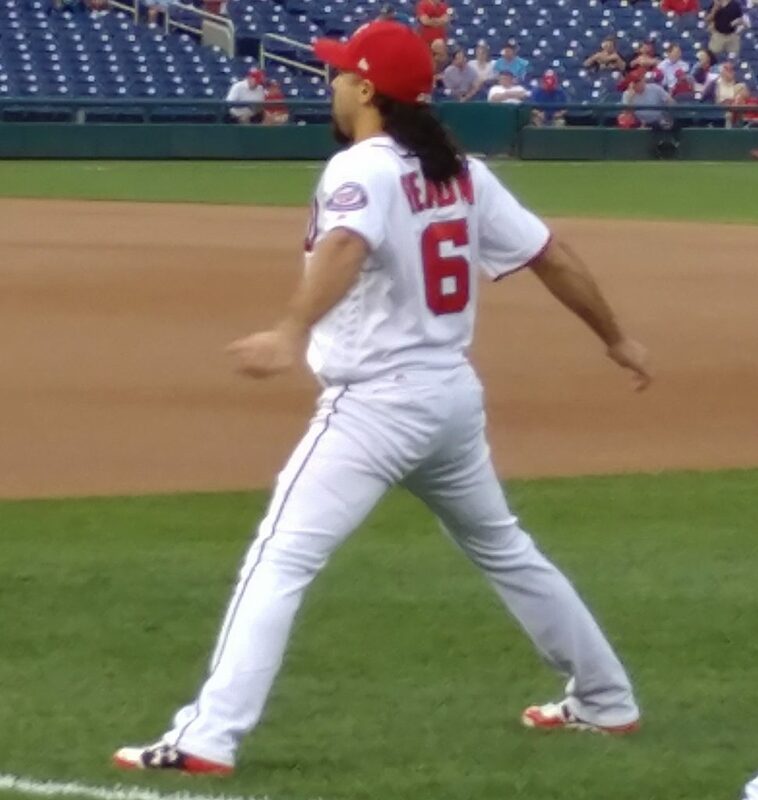 He was brilliant in this one as was Anthony Rendon.